When I was a kid I used to make Dream Pie, a pie that got its name from its ingredients — instant pudding, milk and Dream Whip powdered whipped topping. 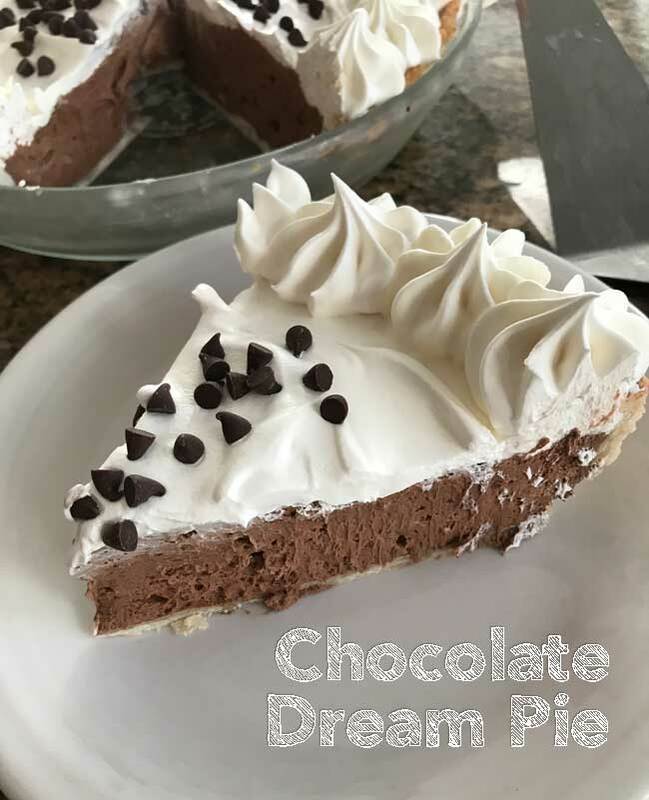 It’s been a long time since I made that type of Dream Pie, but I recently found another version and had to give it a try since all the ingredients were from scratch. Originally from Pillsbury, this pie is similar to French Silk Pie, but has a little cream cheese in the filling rather than butter. The filling is light textured and gets its chocolate flavor from a cup of chocolate chips. The second time I put everything the in pot except for the chips, then threw them in after the mixture thickened. There were still some lumps, but again — they kind of disappeared after the whipped cream was folded in and everything had set. I believe the lumps were because I used a 3 1/2 quart saucepan and the recipe clearly states a 2 quart. This third time I made the pie I used the 3 1/2 quart saucepan but lowered the heat. No lumps. So watch the heat, especially if you have a large or heavy metal saucepan. I also tested with Cool Whip in place of whipped cream and wasn’t crazy with the results. The filling had a thicker, kind of gummy texture. Heavy cream works better. By the way, for the baked crust I used this flaky pie crust recipe along with Stella Parks’ method of blind baking a pie crust using sugar to weigh it down. The method works perfectly and leaves you with a few cups of toasted sugar! If you are interested, you can read about it on Serious Eats. 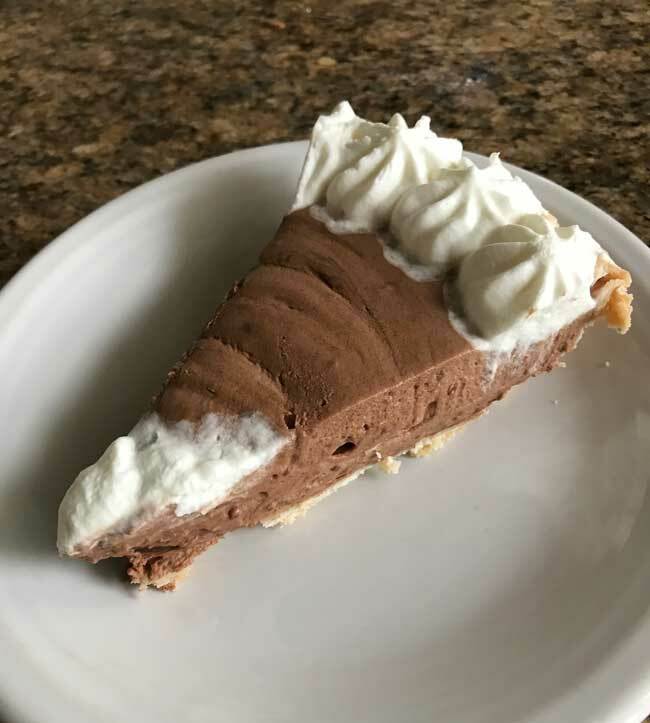 A lighter cream pie similar to French Silk but not quite as rich. Have ready a 9 inch deep dish baked pie crust. 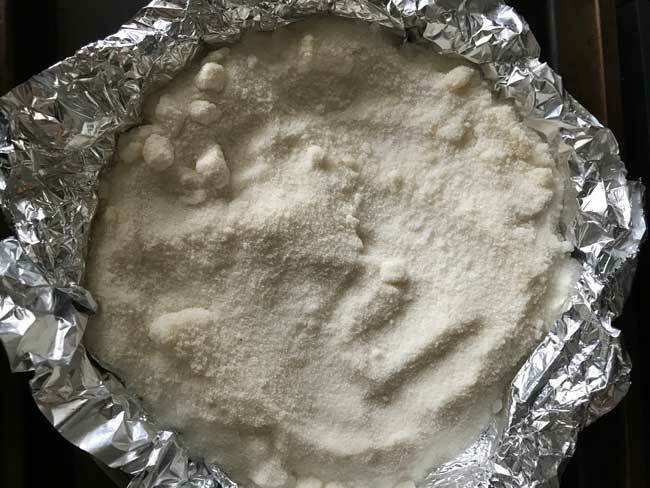 In a 2 saucepan, mix sugar, cornstarch and salt. Gradually stir in milk until well blended. Add egg yolks and stir until fully blended, then add chocolate chips. Set over medium heat. Cook over medium heat, stirring constantly, until mixture starts to thicken. Keep stirring to avoid lumps. Remove from heat just as it starts to thicken and beat in cream cheese with wire whisk until smooth. Cover surface with plastic wrap and let cool for 1 hour. Original version says to refrigerate, but I've been letting it cool at room temperature. In a large bowl with an electric mixer, beat whipping cream and vanilla on high speed until soft peaks form. Reserve 1 cup (or 2 cups if using the higher amount of cream) of the whipped cream for topping. Before you set it aside, you can sweeten it to taste with a tablespoon or so of powdered sugar or leave unsweetened. Fold remaining whipped cream into cooled chocolate mixture and spoon evenly into cooled baked shell. Refrigerate 6 to 8 hours or overnight. Spoon or pipe reserved whipped cream over filling. Store in refrigerator or freeze. 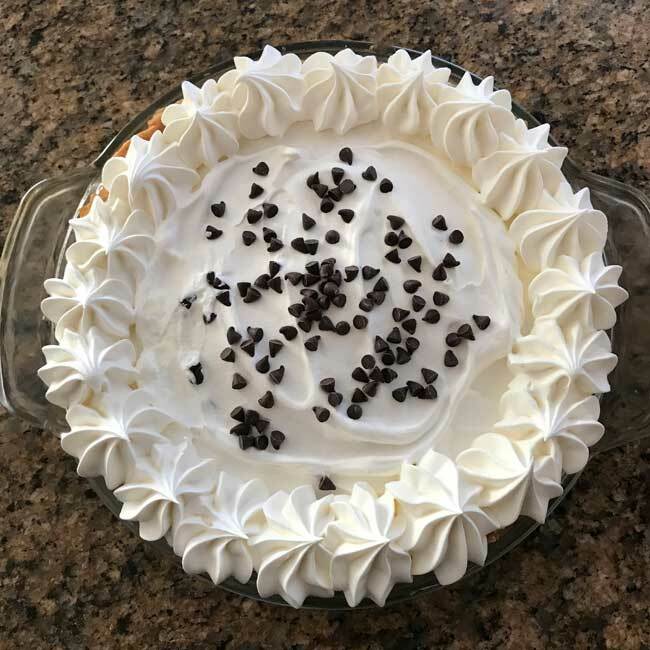 You can get by with 1 1/2 cups, but if you like a lot of whipped cream on your pie I recommend using 2 cups and setting aside a little over 2 cups (whipped) rather than 1 cup. Sounds good, Sue! Let us know what’s like. Hoping this isn’t a repeat comment. This is what I want to try with the toasted sugar. The only problem with the toasted sugar is that I haven’t found any great ways to use it. It doesn’t do much for chocolate chip cookies. Maybe I’ll use it in angel food cake. So much good stuff in this post! I remember seeing the recipe for dream pie on the Dream Whip box when I was a kid. I don’t think we ever made it but it did seem dreamy. lol! As an adult this version seems so much more appealing. I also like that you linked back to the Flaky Pie Crust recipe because I want to try that one. I’m thrilled that you tried Stella Park’s toasted sugar blind baking. I want to try that too.